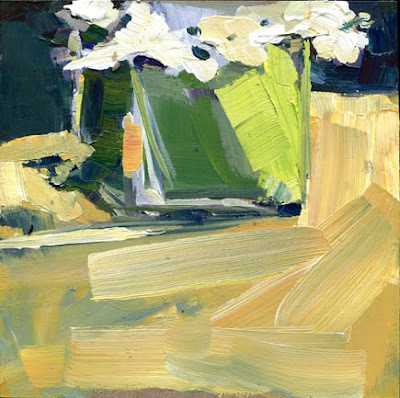 still life, acrylic, 6x6" $100 click here to purchase Other News: I'll be teaching a workshop next week at the Center for the Arts in Bonita Springs, Florida, click here for details . 'Beijinhos!' 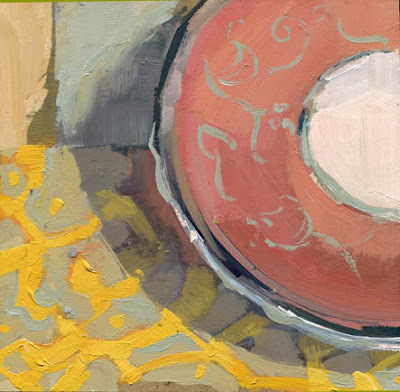 - regrettably, I don't actually know any other languages (yet, maybe someday? 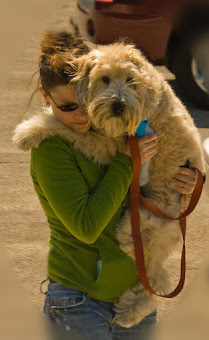 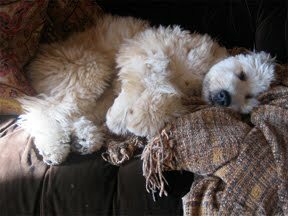 ), but I know this one word, it means 'little kisses.' 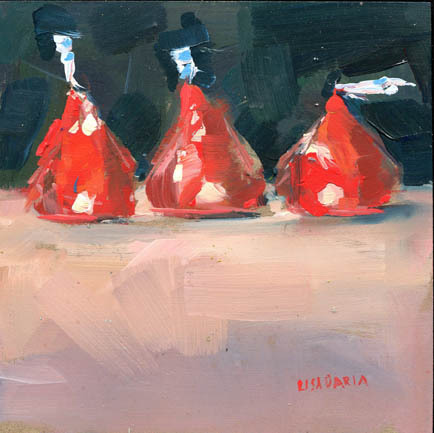 I had a special request to paint these little kisses bigger. 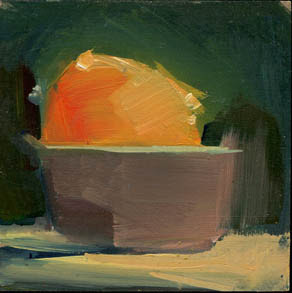 acrylic, 6x6"
I'll know it when I see it. 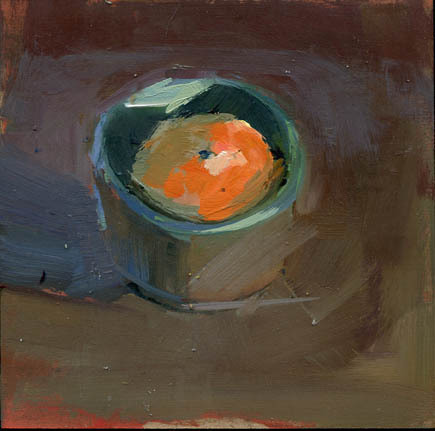 still life, acrylic 6x6"
Available as a fundraiser through Boston GLOW, an organization that "aims to foster opportunities for women of all ages to become empowered community leaders and active, engaged world citizens." 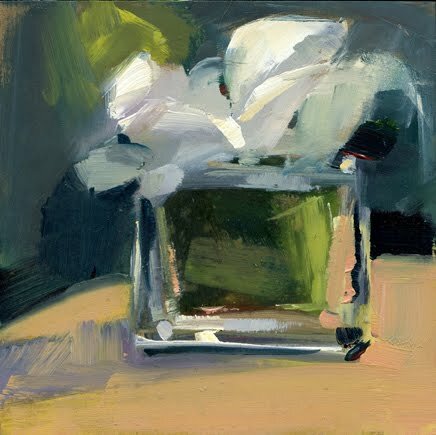 still life, acrylic, 6x6" click here to purchase $100 Other News: Thank you to everyone who came out to the opening, your company made the night go by so fast! 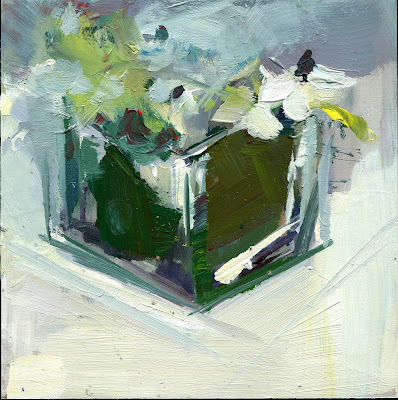 Still Life, acrylic, 8"x8" Other News (the Opening Reception, The Hard Sell); Join myself, some bigger paintings and smaller ones too at the Opening Reception (Friday night) Dec 9, 6-9 at South Street Gallery, 149 South Street, Hingham. 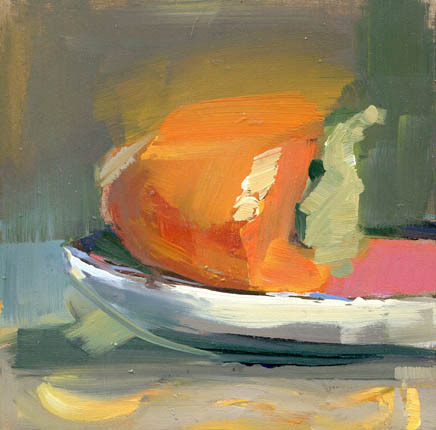 This piece of produce is a keeper (it's had a long shelf life, I'm thinking of decorating it for Christmas). 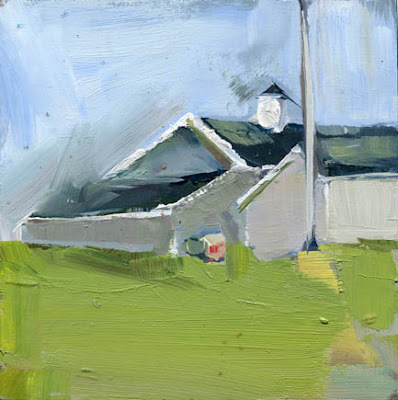 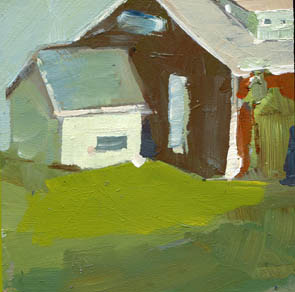 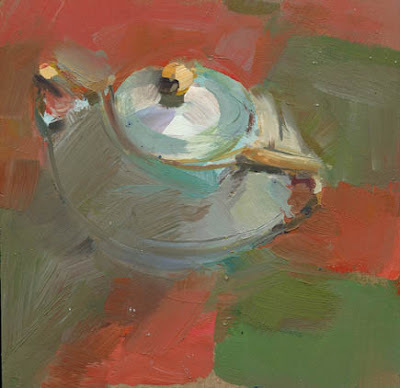 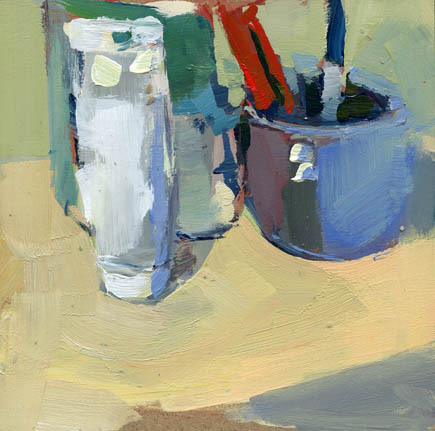 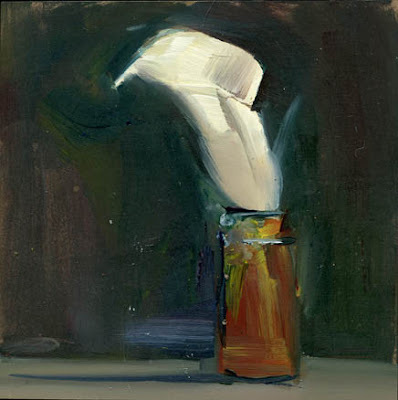 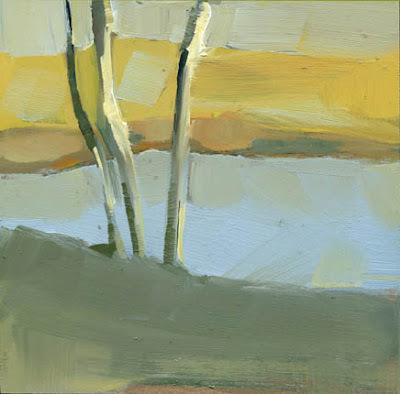 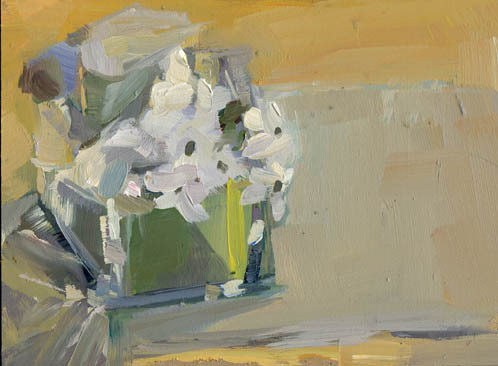 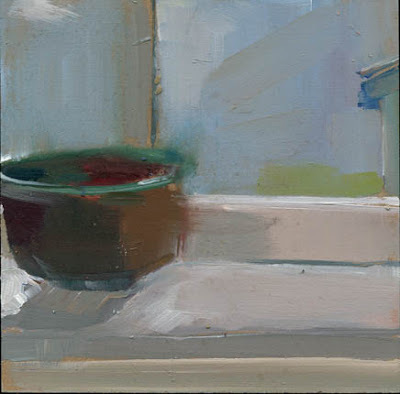 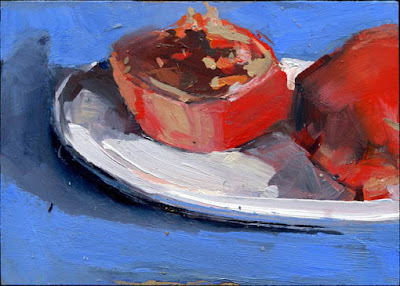 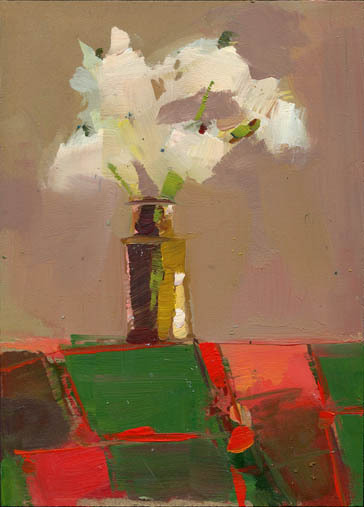 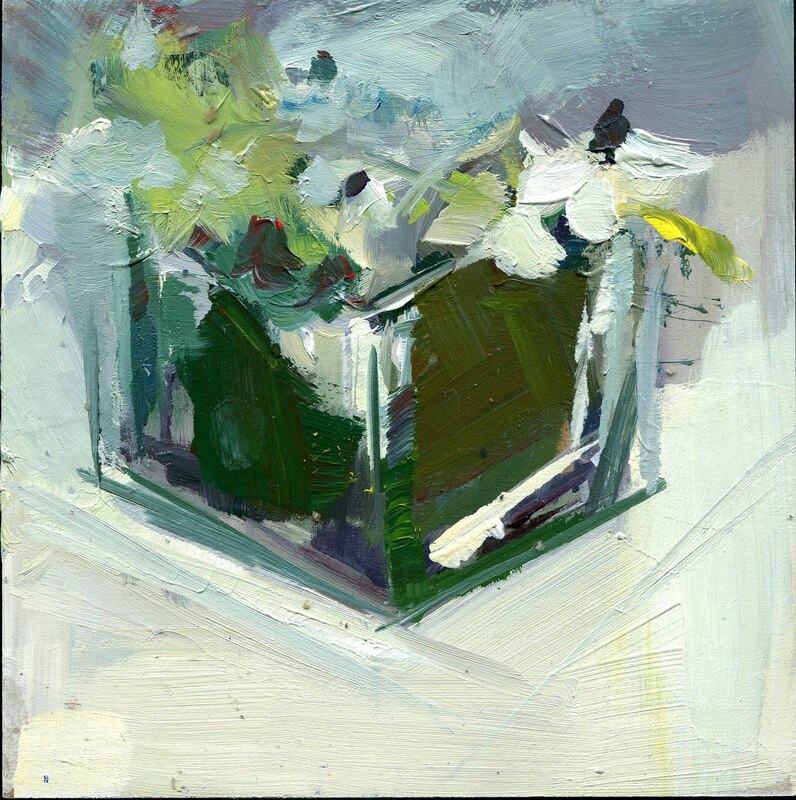 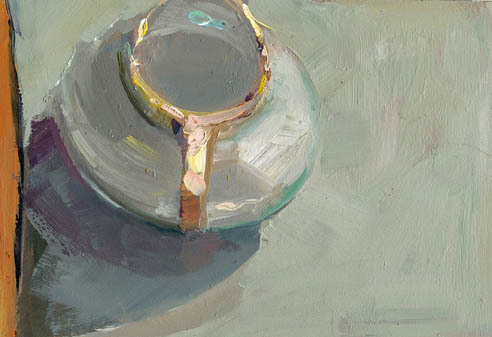 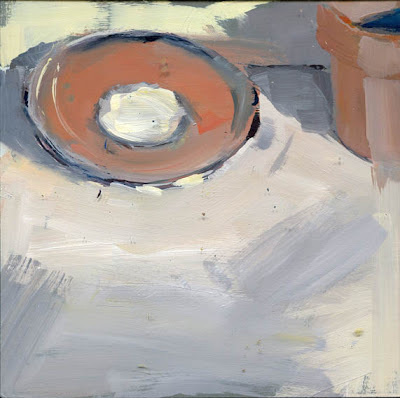 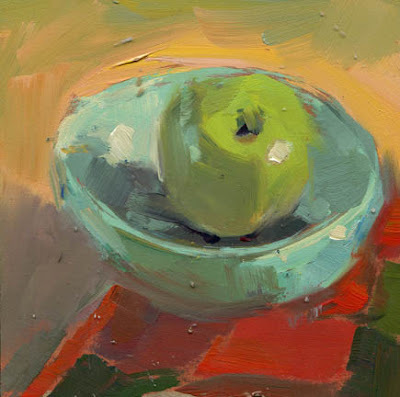 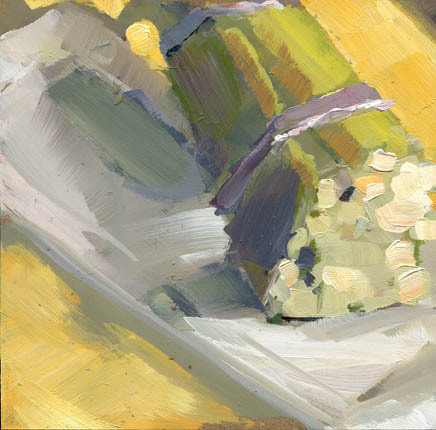 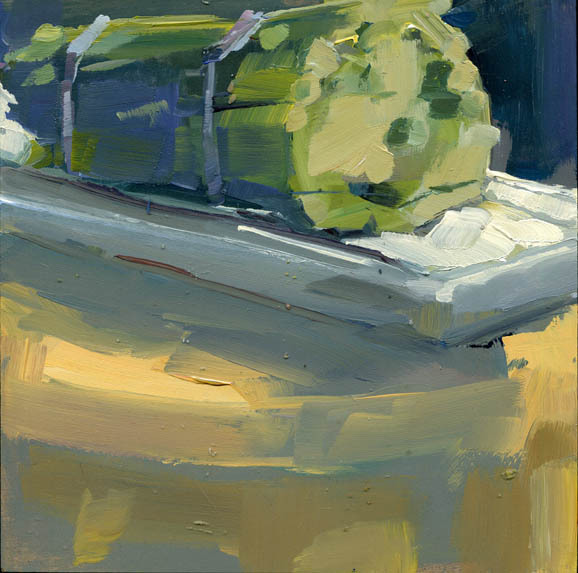 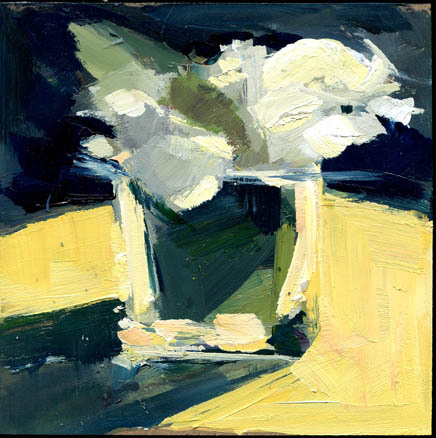 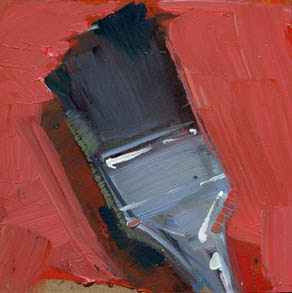 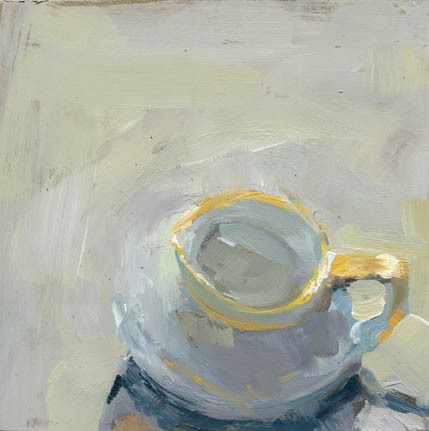 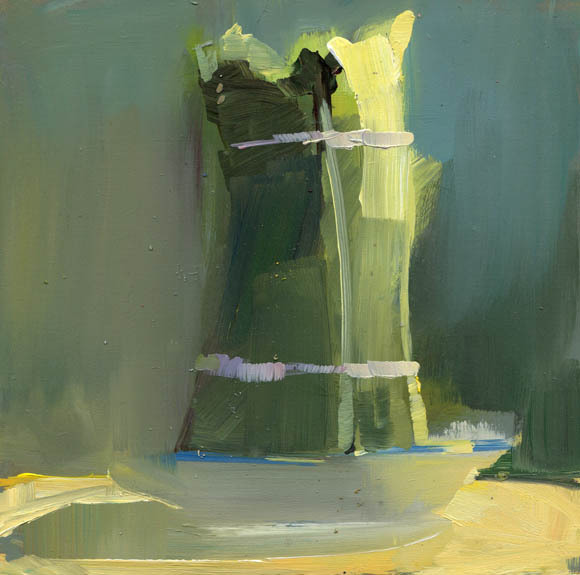 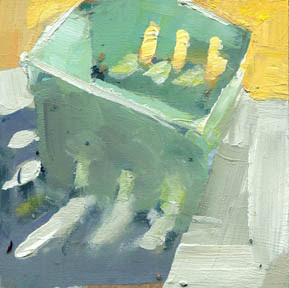 still life, 6x6"available at South Street Gallery, please call 781-749-0430. 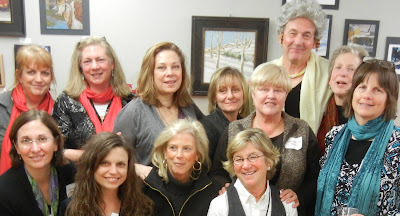 Other News: Below is a photo from the other night of the '*girls* who paint' of the GJWP challenge group (the 'tall drink of water' in the back row was an honorary member for the night). sold While painting this, I took out a little brush for the detail work and I remembered I used to detail paint Rabbit Razors (razors shaped like rabbits) in college as a part time job. 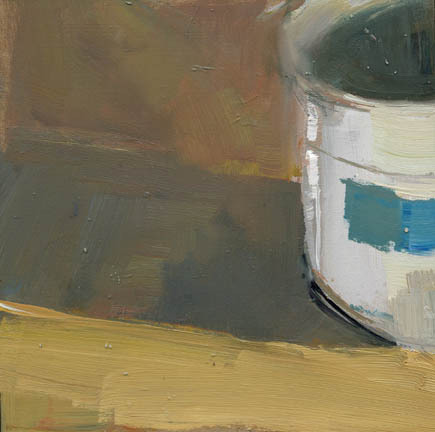 Other News: Anyone have any tricks for painting with acrylic on canvas? 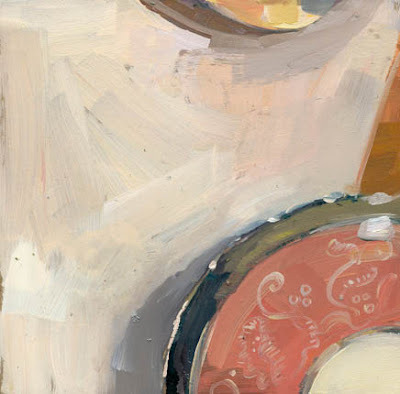 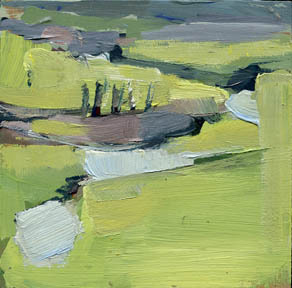 I paint mostly on masonite because I love how buttery the paint is on the surface, but I'm wondering is there any way to treat a canvas to get the same feeling with acrylic?